Nunavut is known for its largely untouched landscape. This is one of the reasons why there is such a wide array of wildlife in this region. Nunavut has many wondrous creatures both on land and below the surface of the water. Regardless of the time of year there always are many magnificent animals to be seen in the Arctic Canada. There are dozens of creatures that are native to Nunavut. There are two types of foxes that can be found in the Arctic Canada – the Arctic fox and the Red fox. The Arctic fox has an incredibly protective coat that allows it to withstand the cold temperatures in Nunavut. The Red fox, however, can be found throughout Canada. Another part of the canid family found in this region are the wolves, which are also indigenous to the Northern Territories. They tend to aggregate in places that are less inhabited by humans. Despite its name, the wolverine does not have anything in common with wolves or even the canine family. It is more similar to the weasel. The Canadian Lynx has also created its home in Nunavut. This feline resembles a very large domestic cat. 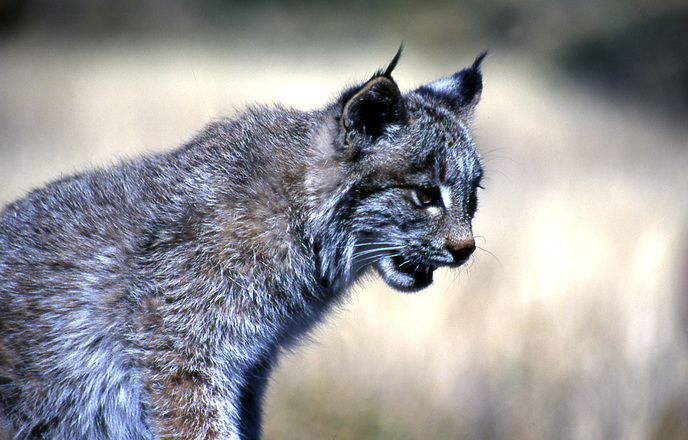 One of the greatest threat to the Canadian Lynx is trappers who frequently hunt them for their coats. There are also several birds that nest in Nunavut. Among these are the Snowy owl, Tundra swan, Peregrine falcon, Pacific loon, Canada goose and Bald eagle. The national bird of Nunavut is the Rock ptarmigan. Rather than migrating prior to the cold season, it spends its winter in Nunavut. The caribou and the moose are two deer-species that have a habitat in Arctic Canada. Caribou tend to migrate to warmer climes when the weather begins to change. The moose, however, have a tendency to tolerate the cold quite well and prefer lower temperatures. The two types of bear that are native to Nunavut are the polar bear and the grizzly bear. Due to its physical characteristics and its dietary preferences, the polar bear tends to stick to the outskirts of the Canadian Arctic. The grizzly bear can live in forests, the alpine meadow of the Tundra. Walrus, Greenland sharks, harp seals, and killer whales are some of the creatures that are known to inhabit the waters of Nunavut. One of the types of tourism related to the wildlife in Nunavut is wildlife viewing. The other is hunting. There are several ways that tourists can indulge in wildlife viewing. This can be done either by land, sea, or even by air. On land, tourists can go on a variety of expeditions across the region. This can be done by dog sleds, on ATVs, snowmobiles. Visitors also have the options of trekking across the terrain by foot or by going cross country skiing. With guides in tow, tourists can see polar bears, caribou, and muskox. There are also several creatures to be seen by sea. A boat can take visitors to see walrus on ice, belugas, bowhead whales, and even the mythical looking Narwhal. For those looking for a less intimate adventure, there are small aircrafts that allow them to see the views from the skies. Vegetation in Nunavut have unsavoury weather conditions to deal with. The winters tend to go on for a longer period of time while the summer is considerably shorter. In addition, there is very little rain and the soil is quite acidic and lacking in nitrogen. The plants in Nunavut survive these conditions due to their incredible durability. The vegetation also has the tendency to grow in clusters and form microenvironments that result in higher surrounding temperatures. The plants found in this region are certain berries, Arctic Willows, moss, willow shrubs, lichens, and tough grass. Nunavut offers a great deal in terms of wildlife and vegetation. The people of Nunavut have to strive to ensure that the environment, terrain, and the animals are protected from a variety of changes. Posted on July 12, 2016 by admin. This entry was posted in Uncategorized. Bookmark the permalink.